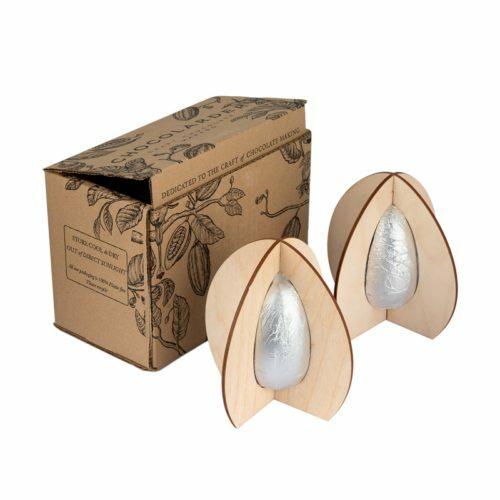 Following the incredible success of last years filled chocolate egg, we wanted to raise the bar and offer you not one, but three beautifully handcrafted eggs to choose from. Each with their own unique filling and cradled in their own wooden stand, they truly make the best Easter gifts. Or your own naughty treat. With only 50 of each flavour available, be sure to get your orders in early as they won’t be around for long! Returning from last years success. The incredible tartness of Cornish sea buckthorn berries has been tamed with a freshly made fondant filling to bring out the incredible mango and passionfruit flavours of this wild shoreline fruit. A pinch of Cornish sea salt brings balance to the sweet and sour combination and elevates the fruity flavours. 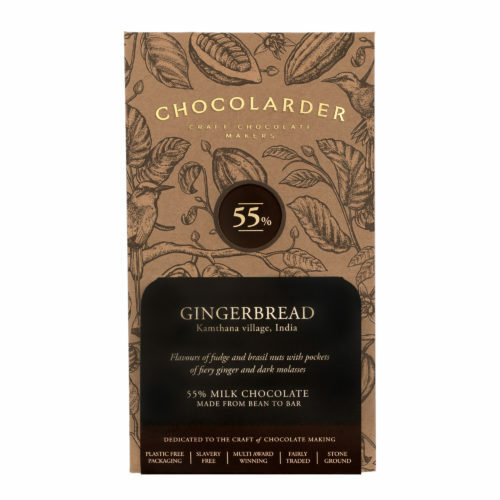 All wrapped up in our creamy 55% Oko Caribé milk chocolate. A thick layer of our signature fruity Ashaninka 72% dark chocolate encases a beautifully sweet and smooth dairy-free caramel. The caramel is made from scratch at our factory and incorporates coconut milk and a hint of molasses, giving it an intense, rich flavour. It is an egg that we feel is perfectly balanced and of course suitable for vegans. It’s a win-win for everyone! In a foody county that never ceases to amaze, we are lucky enough this year to get our hands on locally grown lemons! Meyer lemons are different from your average “Eureka” lemon. It is a hybrid fruit cultivated in China and has a thinner rind and much less acidic taste with more fragrant tones. An incredible find deserved the finest treatment, so the rind and flesh were sweetened with our raw cane sugar, and cooked gently for 2 days in a water bath to infuse both fragrant rind and sharp flesh with a touch of sweetness before the fruit was dried. This fresh delicate flavour is shown off to its fullest with soft pieces folded through a white chocolate pavé filling in our 40% white chocolate shell, with a lemon sherbert kick.